Search across the RA Collection or do an advanced search in works of art, books, exhibition catalogues, archives, or frames. Artists and authors, sitters and students. From founding member Joshua Reynolds PRA to the students creating work in the RA Schools today. 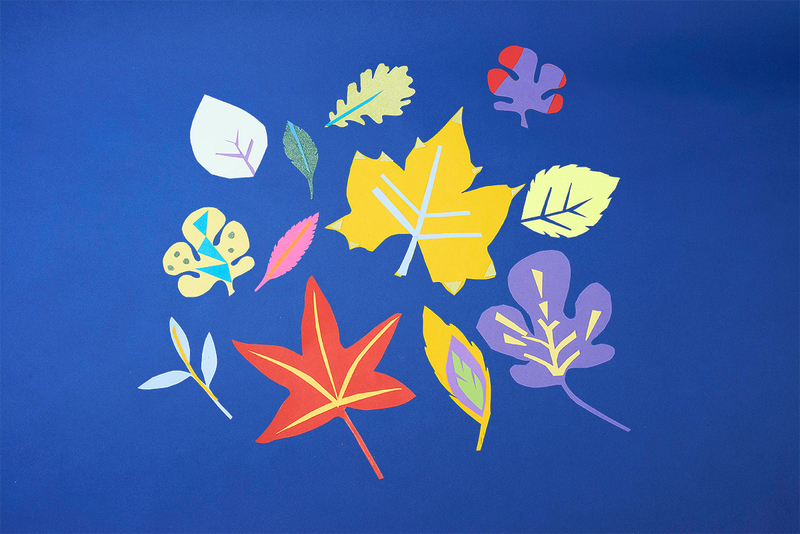 Venture outside to hunt for dry leaves, flowers and twigs so you can construct your own brushes and play with mark-making using natural, foraged materials. From the influential Bauhaus to contemporary Cuba, centres for studying art have shaped global culture over the past century. Sam Thorne celebrates the most innovative examples. 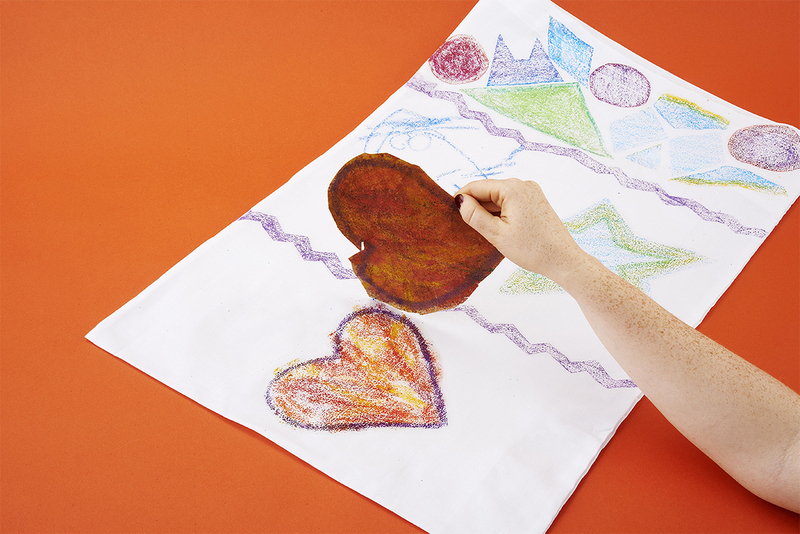 Tailor art activities to your needs by adapting the tools you use. Follow our step-by-step way to extend or improve the grip on your pencils, paintbrushes and pens. Britain’s reputation as a creative country is at risk, as threats mount to the education pathway that leads potential artists from school to university to professional life. Sam Phillips reports on the political challenges facing higher education. Well, it’s been quite a year, hasn’t it? Let’s hope you’ve found time to keep up with something that makes it all worthwhile… Take the quiz and find out how much creativity and culture you’ve kept in your life this year. Why not put your stamp on the festive season with our cookie cutter Christmas prints and Funky Foam reliefs? RA Magazine’s Sarah Handelman meets Barbara Rae RA in her studio in Edinburgh ahead of her exhibition ‘Barbara Rae: The Northwest Passage’. Have a go at using a stencil to carve a pumpkin this Halloween. These stencils are all inspired by artworks from the RA Collection. Download it and get crafting! Become a film director for the day and create your very own cartoon animation inspired by artworks from the RA Collection. Mali Morris RA pays tribute to the inspirational life and work of the painter and printmaker Gillian Ayres RA, who passed away earlier this year. Colleagues, friends and family pay tribute to artist and teacher Leonard McComb, who died on 19 June 2018 aged 87. Architect Will Alsop RA was known for blurring the boundaries between art and architecture. Following the sad news of his death, the RA’s Head of Architecture and Peter Cook RA reflect on his career. The RA in 250 years: home of the sentient robot artist? As we celebrate the RA’s 250th birthday, we must ask – what will it look like in another 250 years? In this short piece of fiction, the artist, poet and author Brian Catling responds to that question, with a future where robots have joined the ranks of artists and are causing controversy. With news that the Irish artist has been selected to represent her country at the 2019 Venice Biennale, we meet Eva Rothschild in her London studio to talk being a sculptor, parent and feminist. Friends and colleagues remember the exceptional life and career of the painter Gillian Ayres RA, who passed away on 11 April 2018 aged 88. Have a go at colouring different artworks from the RA Collection! Download a colouring sheet and crack out your pencils and pens. Be inspired by a painting of Queen Henrietta Maria and make art about the ladies in your life! 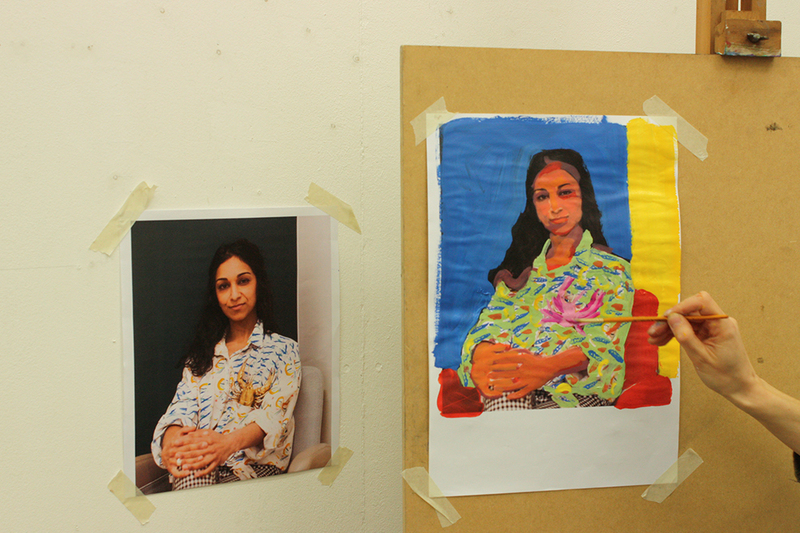 Try our two activities: print out and paint a portrait or collage the pieces of a portrait puzzle. Print a posy of springtime roses, a potato polar bear or some birthday wrapping paper. With a new show at White Cube Bermondsey, the artistic duo tell us eight things about their lives, art, fame, bigots, liberals, Brexit, and their favourite East End Turkish restaurant. On her first full day as Keeper of the RA Schools, Rebecca Salter RA talks artistic dogs, learning Japanese and proving your teachers wrong. Melt and grate crayons in our take on Jasper Johns’s encaustic paintings, working with wax to design a flag that represents you. 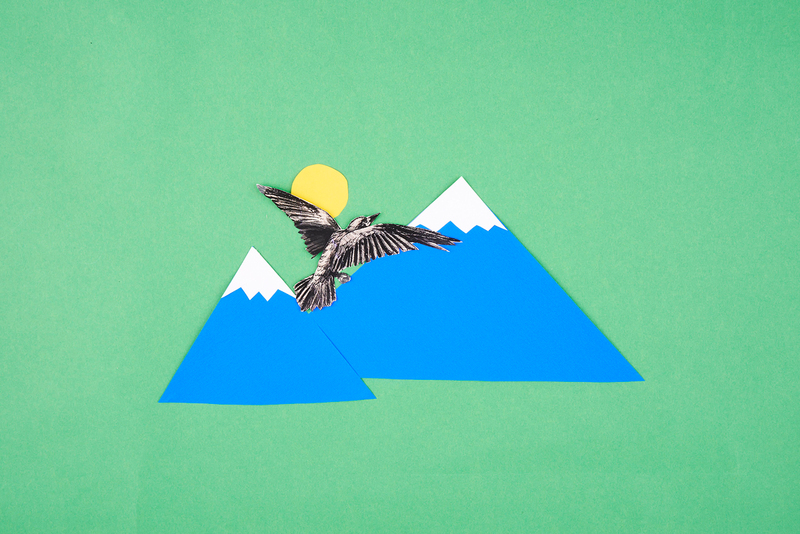 Forage for some autumnal inspiration, then get cutting and sticking to create moveable magnetic cut-outs that you can put on the front of your fridge. The two artists discuss their new work and the status of painting today, in a discussion chaired by the RA’s Artistic Director Tim Marlow. The international architect talks art collections, local communities and working for the disempowered at his London studio. 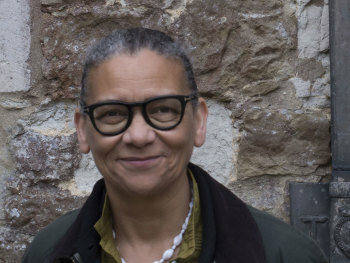 As the pioneering American artist covers Blenheim Palace with her provocative text-based work this autumn, she discusses a career of making art with words. With a solo show at London’s Alan Cristea Gallery this month, the printmaker shares the projects, exhibitions and places currently on her radar. As Renzo Piano celebrates his 80th birthday, close friend and fellow Academician Richard Rogers looks back at what it was like to work together on one of the 20th century’s most iconic buildings – the Pompidou Centre in Paris. 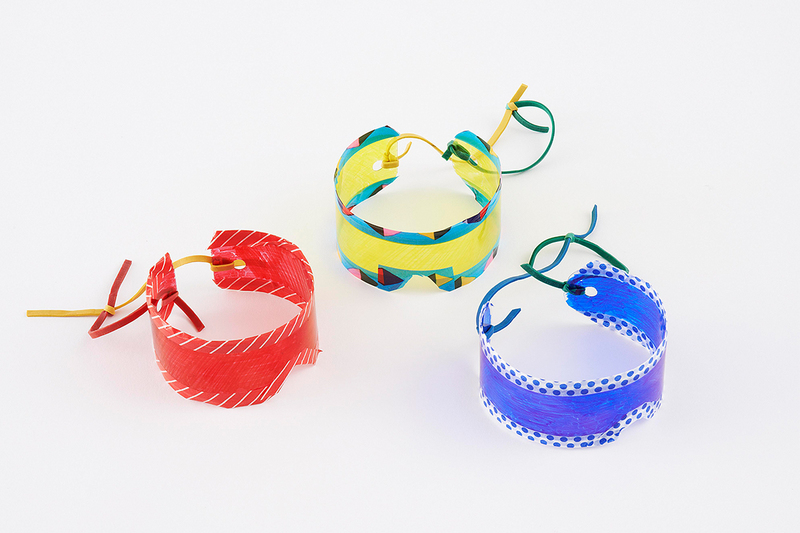 Explore a whole world of colour through these DIY plastic goggles. 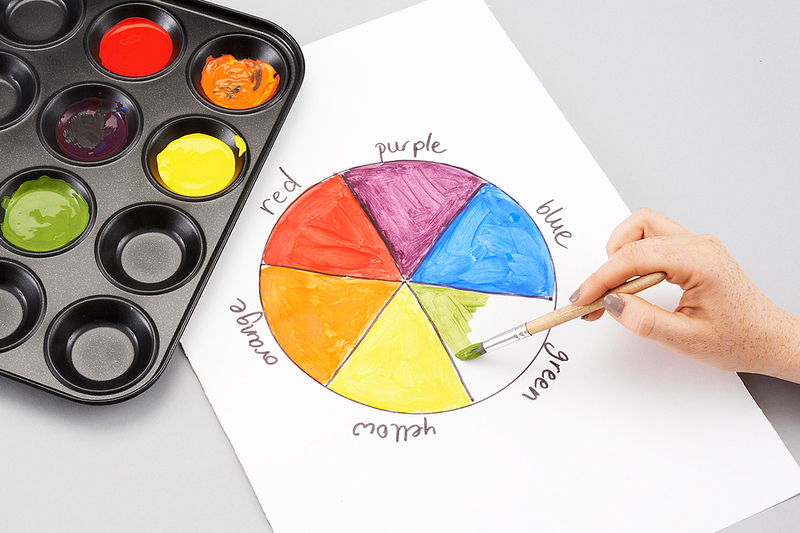 Learn to mix paint like a pro with this quick colour-wheel activity. Play, experiment and explore how colours mix together by making this sensory slime! Turner Prize-winning artist Richard Deacon RA talks obsessive collecting, ambiguous titles and finding the interest in everything. To celebrate David Hockney’s 80th birthday, filmmaker Bruno Wollheim has released 80 previously unseen short films made with the artist. Watch three of them here. As part of our season exploring artists’ studios, we asked the artists of the 2017 Summer Exhibition – from Royal Academicians to first-time exhibitors – to give us a peep inside their working space, and to share their secrets for a successful studio practice. Podcast: How can performance art be collected, preserved, displayed and sold? Catch up on our panel event with this recording of artists Brian Catling RA and Pablo Bronstein in discussion with Tate Senior Curator Catherine Wood and Dr Jen Harvie. With his new 16-metre installation suspended above commuters at St Pancras International, London-born sculptor Conrad Shawcross talks activism, optical illusions and why he likes a bit of trapeze. Think you know watercolour? Think again. Join the President of the Royal Academy in his London studio as he debunks some of the myths about this versatile medium and its possibilities. With two solo shows this year, her final months as the Keeper of the Royal Academy Schools and the job of coordinating this year’s Summer Exhibition, it’s a busy time for Eileen Cooper. In the latest in our ‘As I see it’ series, the artist talks bad reviews, good dogs, and what she’ll do once all this work is done. Stuck for something to do? 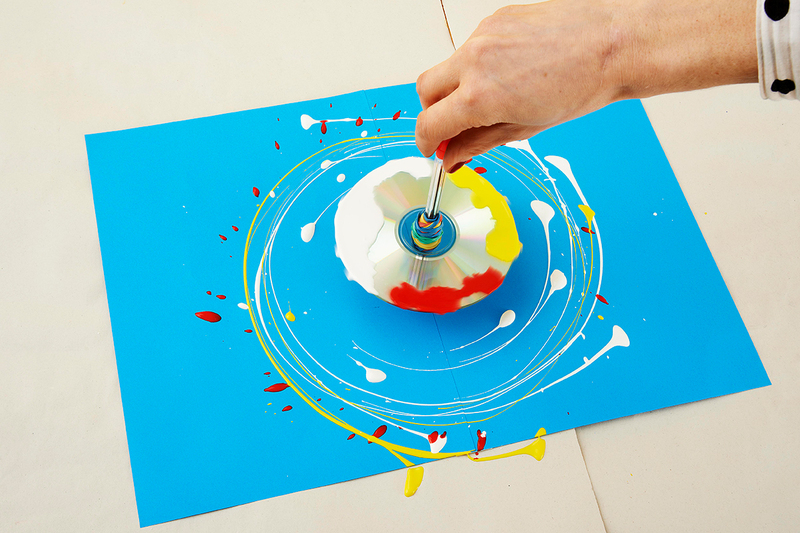 Learn how to make a spinning top that will spin and spin, splattering paint to create multiple masterpieces. Painter and sculptor Maggi Hambling discusses her work with the RA’s Artistic Director, Tim Marlow. The architect Leonard Manasseh, the first Royal Academician to reach the age of 100, passed away in March. Fellow architect Trevor Dannatt looks back on more than half a century of rivalry, collaboration and friendship. From David Hockney’s portraits in palazzi to Phyllida Barlow’s swollen sculptures in the British Pavilion, here’s the must-see work by Royal Academicians in this year’s biennale. 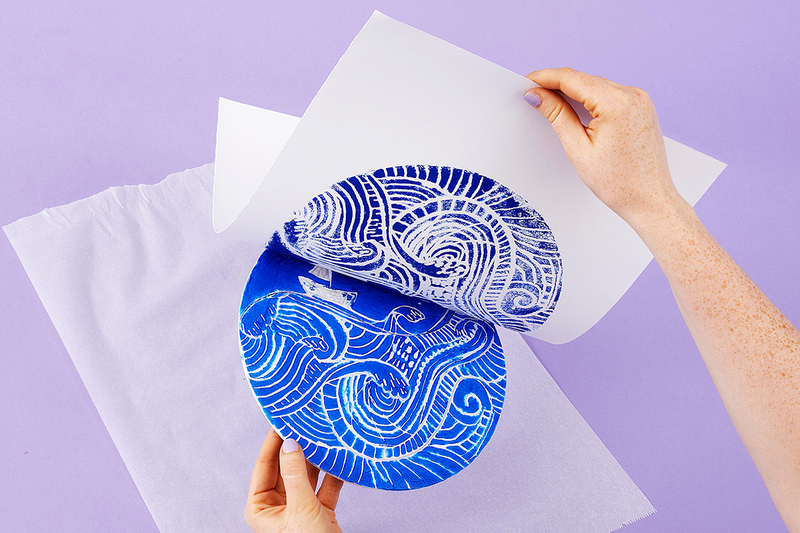 Inspired by the London Original Print Fair, here’s how to scribble, scratch and carve your design into a piece of polystyrene to make a relief print like a pro! The Royal Academician’s lightbulb sculpture goes on show at The Peninsula Hotel. As a new show at the National Portrait Gallery places the two artists side by side, Lauren Elkin explores how Gillian Wearing RA finds identity-blurring inspiration in the inter-war writer and photographer Claude Cahun. Know your O‘Keeffe from your Kahlo? For International Women’s Day, we’re celebrating a few of the great female artists who deserve a wider audience. Take the quiz and let’s see how much you know. How do you make work indoors that’s destined for a life outdoors? With the opening of his exhibition at Yorkshire Sculpture Park, the artist discusses the realities of making art surrounded by rats, sunshine and Henry Moore. Joining a protest? 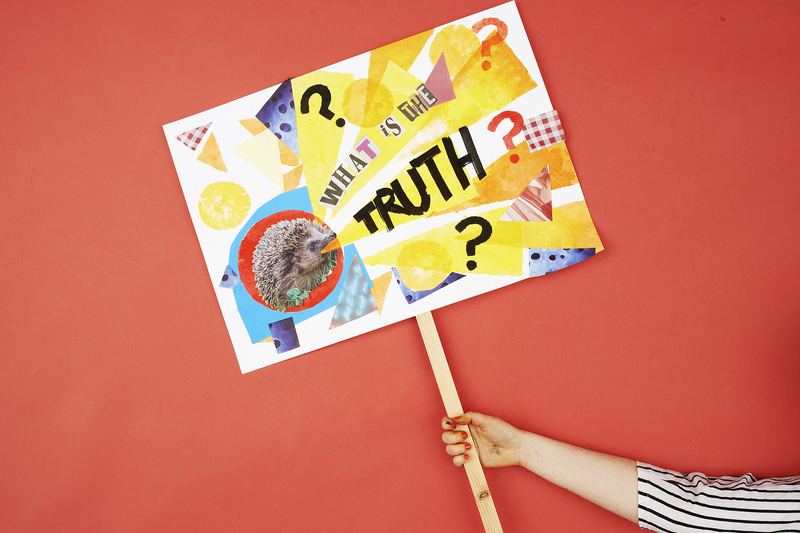 Here’s how you can collage, stencil or paint a protest poster to hold high above your head! The photographer’s workspace in a former Berlin department store houses giant printers, tropical plants and DJ turntables. Anna Coatman meets the acclaimed artist and EU campaigner. “There’s a loss of confidence in structures that we thought we could rely on, a sense of order that’s crumbling” – Eva Rothschild RA on the ideas and production behind her recent installation, Ruins. 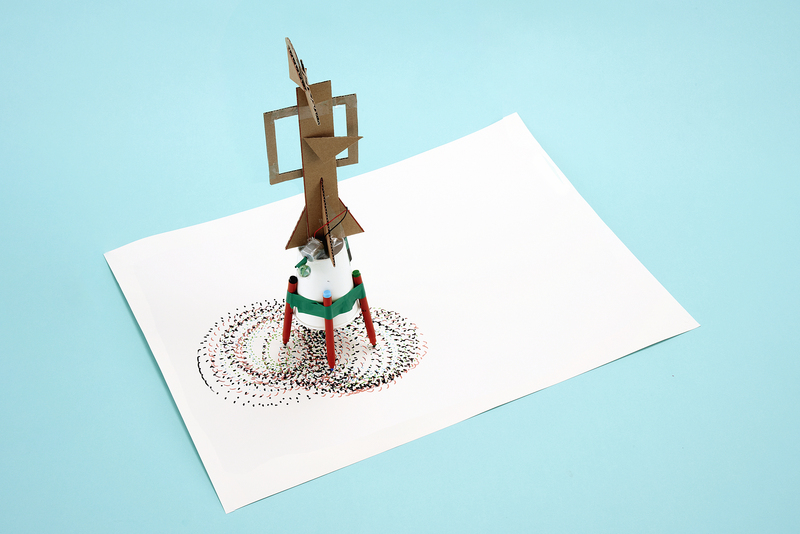 Inspired by Abstract Expressionist sculpture, here’s how you can make a sculptural robot that can move around and draw all by itself! In our new series, artists reflect on art, life and lessons learnt. Here, Antony Gormley RA explains how he first found his subject, why the arts are vital in education and why he’s ashamed of Brexit. In conversation with the art critic and lecturer, Gilda Williams, the two artists discuss their new work, as well as experiences creating pieces for the Fourth Plinth in Trafalgar Square. Working from her garden studio in Sussex, painter Olwyn Bowey RA has tenaciously pursued her interest in the natural world over many decades, and the results are continuing to bear fruit. In the first part of our new video series looking at artistic techniques, Anne Desmet RA demonstrates each step in creating a wood engraving, from tracing the original drawing through to printing a first proof. The RA’s former Surveyor to the Fabric remembers his friend and colleague John Partridge, the celebrated architect of housing, colleges and courthouses, who died this summer aged 91. As the Academy stages a show of Peter Cook RA’s drawings to mark his 80th birthday, Kate Goodwin asks the architect about his vision for urban ways of life. Rebecca Salter RA talks about the “uncharted territory” of working in film for Picture the Light, her collaboration with the musician Max de Wardener. The ebullient, multimedia artist-poet Brian Catling RA is reluctant to identify his studio as a physical space, as Fiona Maddocks discovered when she met up with him in Oxford. In this video, Rebecca Salter RA explains the traditional tools and techniques used by the Sato Woodblock Workshop in Kyoto when creating her print for the Summer Exhibition 2016. Known for his elegant style of housing, the founder of the Manser Medal leaves a legacy of modernism across the UK. Following the architect’s death aged 87, architectural historian Margaret Richardson pays tribute to a remarkable career. David Hockney RA returns to the Academy this summer with his sparkling new series of portraits. Barry Humphries, creator of Dame Edna Everage and friend of the artist, recounts his experience of sitting for a portrait in Hockney’s Los Angeles studio. Richard Davey celebrates the independent spirit that characterises Anthony Whishaw RA’s paintings in this extract from a new monograph. There is barely a straight line to be found in the north London studios of artist, designer and architect Ron Arad RA. Fiona Maddocks meets the maverick whose life and art is always on the move. As Leonard Manasseh becomes our first centenarian Royal Academician, his cousin, the architectural historian Timothy Brittain-Catlin, takes a look at a career of over 80 years. The Royal Academician talks about the “Baccahanalian excess” of her sculptural installation Top Shelf, currently on display above the bar in the Academicians’ Room at the RA. As Yinka Shonibare RA prepares to wrap the Academy’s Burlington Gardens façade in his bold designs, the RA Collections team takes a look at one of his distinctive works. One of the world’s greatest architects, Zaha Hadid inspired a generation. Following the sad news of her death, the RA’s Head of Architecture and two fellow architects reflect on a visionary career. The Royal Academician’s sculpture inspired by the mathematician Ada Lovelace goes on show at The Peninsula Hotel. As Yinka Shonibare RA prepares to wrap the Academy’s Burlington Gardens façade in his bold designs, Fiona Maddocks visits the sculptor at his warehouse studio in east London. The artist tells us why Van Gogh was his earliest inspiration, and why he still loves Josef Albers’ square paintings. Ian Ritchie RA shows us around the Canary Wharf offices of his architectural practice. The artist tells us why she is inspired by Arctic explorations and the Scottish coastline in winter light. Royal Academician Diana Armfield tells us about a creative partnership that has stood the test of time. Architect Chris Wilkinson RA and painter Humphrey Ocean RA discuss what it is to draw, and why the process is central to their work. The architect’s sketchbooks are currently on display at the RA. We visited him at his practice to find out why, in an age of computers, drawing is still at the centre of what he does. As she turns her focus to a group of small sculptures, Phyllida Barlow tells us what music inspires her and why she loves Picasso. In this video, the Royal Academician discusses his new book which brings together portraits of friends and neighbours with their canine companions. From losing consciousness to sitting motionless every day for three months, the inimitable artist pushes her body to its limits. Watch her in conversation with Bryan Appleyard. Bob and Roberta Smith’s exhibition of his recent campaigning art finds a natural home at the London gallery dedicated to designer and radical socialist William Morris. Anne Desmet RA is known for her prints and collages exploring space and time. But in her new show she combines these with objects in unusual and playful ways. Internationally acclaimed artist William Kentridge Hon RA discusses his career and work with the RA’s Artistic Director Tim Marlow. Fred Cuming RA reflects on his long career as a painter in this short film, shot in and around his East Sussex home. Six years on from leaving the RA Schools and selling his final year show to the Saatchi Gallery, Tim Ellis has been exhibiting across the world. We head to his Dalston studio. As Eileen Cooper RA guides us round both her studios, she tells us about her career in printmaking, and why she loves drawing in charcoal. Thomas Heatherwick RA delights in discovering his ideas don’t work – it’s all part of a process of elimination that results in his extraordinary designs, as Sam Phillips finds out. The late John Hoyland RA told Damien Hirst about meeting Francis Bacon, and what it is to be a painter. The abstract art of Sean Scully RA is installed in the 9th century church of Santa Cecilia in Catalonia. Despite various challenges, including a leaking roof, Sonia Lawson RA is keen to return to her garden studio, says Fiona Maddocks. From his studio in south west London, Anthony Whishaw RA tells us how he has been influenced by Goya, and why he enjoys working from two studios. Danish architect Bjarke Ingels delivered the 25th Annual Architecture Lecture in the unique setting of the Summer Exhibition. As Piers Gough RA guides us round his practice in Clerkenwell, he tells us what it was like to work with Paul Smith, and what it really takes to be an architect. Each month we catch up with a different Royal Academician. Here, Tess Jaray RA tells us about a recent shift in her colour palette, and shares “the only rule” for aspiring artists. As part of the London Festival of Architecture, we set four teams a challenge to build a model city in under two hours. Here’s what they did. Each month we catch up with a different Royal Academician. This month, Ann Christopher RA tells us about casting plaster figures, her love of Richard Serra’s work and her new sculpture in Uganda. We asked the artists selected for this year’s Summer Exhibition to share their secrets, and tell us their personal rules for making art. Here’s what they said. A new exhibition showcases the Academician’s artistic response to her Arctic and Antarctic journeys. The conflict blocked artists from travelling – but also led to a boom in the art market and the arrival of works by Titian and van Eyck. As a wave of commemorations marks Waterloo’s 200th anniversary, our Curator of Works on Paper explains. As he prepares to exhibit new work, we chat to Timothy Hyman RA about his love of Sienese frescoes and learning to paint with gouache as a child. The imagined portraits by this RA Schools alumna and Turner Prize nominee are revelations from another world, says Kelly Grovier. As Michael Craig-Martin RA co-ordinates this year’s Summer Exhibition, the Curator and Head of the RA Schools Eliza Bonham Carter discovers in a new book what makes this leading artist and teacher tick. Behind redbrick walls in an old Berlin factory Fiona Maddocks finds architect Louisa Hutton RA in a calm and spacious haven. Art and architecture combine on a corner of London’s St James’s, where Stephen Cox RA has integrated sculpture into Eric Parry RA’s building. Sam Phillips reports. RA Magazine’s Guest Editor David Chipperfield RA meets Conrad Shawcross RA in Green Park to talk trees and tetrahedrons, ahead of the sculptor’s spectacular work that greets visitors to the Summer Exhibition. “I don’t think my work on paper has remotely anything to do with the kind of sculpture I make, and I think that’s why I do it - because it’s an opportunity to go down a different route,” says Alison Wilding RA. In an extract from his new book, the Royal Academician who nurtured talents including Gary Hume, Sarah Lucas and Damien Hirst offers his insights into how to get on in art and the art world. The Royal Academician explains how turning away from colour has had an invigorating effect on her work. Each month we catch up with a different Royal Academician. This month, here’s Michael Landy RA on destroying his work, being afraid of Tracey Emin and why young artists need a thick skin. The Royal Academician explains how the nature of memory and a sense of place are driving forces in his latest series of paintings. An exhibition of five decades of Bryan Kneale’s sculpture and works on paper gives the Academician a chance to see his work afresh. Basil Beattie remembers his friend and fellow Academician, the painter Albert Irvin RA, who has died at the age of 92. The Royal Academician explains how his new series of paintings in silicone and resin have a close connection to his blockbuster 2009 show at the RA. A key figure in a group of sculptors who emerged in the 1950s, we look back on the career of Robert Clatworthy, who has passed away aged 87. In the latest in our series on turning points in artists’ careers, Chantal Joffe RA tells Sam Phillips about the impact two teachers had on her work. The Royal Academician’s sculpture inspired by ‘The Italian Job’ goes on show at The Peninsula Hotel. Mick Rooney remembers his fellow Academician, the painter William Bowyer, who has died aged 88. When Tom Phillips RA rented a room in a south London house 50 years ago, little did he know the entire house would become his studio. The eminent architect discusses her approach to her work and her thoughts on the past, present and future of architecture. Each month, we have a quick chat with one of our Academicians to find out what they’re up to and what the RA means to them. A survey of work by Cornelia Parker RA is the opening show at Manchester’s newly renovated Whitworth Gallery – featuring a room hung with the negatives from a poppy factory. We speak to painter Chantal Joffe RA in her new exhibition at Jerwood Gallery in Hastings. Past President of the RA Phillip King pays tribute to his friend and colleague Ivor Abrahams RA, who has died aged 79. We visited Allen Jones RA in his Oxfordshire studio, where he talked about his transition from painting to sculpture, and about painting Kate Moss. 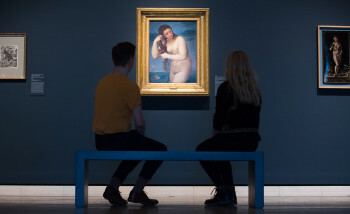 Here at the RA, we’re keen to make sure you’re getting your recommended annual intake of art. Find out now! As her husband’s health began to fail, painter Diana Armfield RA began to paint French and Italian scenes using sketches she had made during their travels. This short memoir is taken from painter Tess Jaray RA’s new book, ‘The Blue Cupboard: Inspirations and Recollections’. 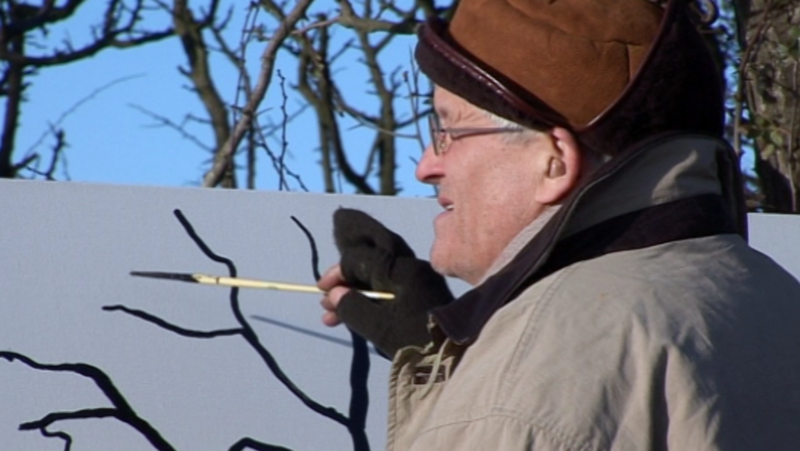 Behind garage doors at his Cotswolds home, Mick Rooney RA conjures a magical world on canvas. From her studio in Southwark, the former RA Schools student Grace O’Connor describes how her experience at the Academy formed her future painting practice. In a discussion chaired by the RA’s Tim Marlow, Anselm Kiefer and David Chipperfield RA explore the ways art and architecture interact in Kiefer’s practice. A few years ago, Philip Dowson wrote and published a book of his memoirs, which he distributed only to his close family and friends. We have been given permission to republish an extract. In this article from the RA Magazine archive, architect Will Alsop discusses Leighton House, and what its architecture says about Frederick Leighton, the Royal Academy President who commissioned it. In an article from the RA Magazine archive, we find out what happened when two Academicians joined Gordon Ramsay at his Claridge’s restaurant. The Academician’s lifelong artistic engagement with the East End neighbourhood now includes the bell ringers of its iconic Hawksmoor church. Revisit this exploration of the meaning of Jones’s works, ahead of his first major retrospective in Burlington Gardens. Royal Academician Frank Bowling discusses his working practices, his desire to make “pure painting” and the changing reactions to his work throughout his lifetime. The Royal Academician shares a chapter from her new memoir. As a new exhibition of his work opens in London, the US-based Academician reflects on an artistic discovery that moulded his approach to sculpture. We caught up with Grayson Perry RA as he moved into his new Islington Studio, where he told us about ceramics, motorbikes and why he wears cashmere socks. Shortlisted for a major European art award, the Royal Academician tells us about her recent work on show in The Hague. The Royal Academician discusses his robot installation inspired by Ada Lovelace. The Royal Academician describes tackling the medium of bronze as her major new exhibition opens in London. Three Royal Academicians – an architect, a sculptor and a painter – respond to memory, mystery and material in the work of Anselm Kiefer. A remarkable look into how a chance encounter in 1988 liberated the Academician’s painting practice. An insight into Eddie Chambers’s ‘Black Artists in British Art: A History from 1950 to the Present’, the first comprehensive study on the topic. As abstract art pioneer Sandra Blow RA is celebrated by two Cornwall shows, Jonathan Grimble and Denny Long from her Estate give us a tour of her atmospheric studio space in St Ives. The Academician’s art dealer and lifelong friend remembers a life well lived. Known for his colourful urban buildings, the Academician also retreats to paint in his Norfolk studio. A few personal notes on a fellow architect and mentor by Sir Michael Hopkins RA. A new film by Bob and Roberta Smith RA and Tim Newton has its first screening at the RA. The Academician and sculptor finds history repeating itself on reading an illuminating analysis of Britain’s first Afghan war. In the lead-up to his major RA exhibition this autumn, we take a look inside the artist’s huge “gesamtkunstwerk” in the south of France. As the exhibition draws to a close, we asked three RA members of staff to select their highlight. People from around the RA pay tribute to leading architect Sir Richard MacCormac, who has died aged 75 following a long illness. As a major Malevich show goes on view, Zaha Hadid RA reveals how her use of painting and drawing to develop buildings was inspired by the artist. As an exhibition honouring the British art of the First World War opens at the Imperial War Museum a century after its outbreak, the painter discusses the impact of these works. Painter Mick Rooney RA gives his own inimitable take on David Remfry RA’s witty watercolours, a new installation in the department store’s Diamond Jubilee Tea Salon. The vibrant colours and traditional textiles of Mexico have weaved their way into the painter’s recent ‘Rebozo’ series. A new book of Norman Ackroyd RA’s watercolours captures the immediacy of the moment, as the artist explains. Vivid colours are coupled with formal simplicity in the recent artworks exhibited by Mathew Tom in the RA Schools studios. On Sunday, the RA played host to a great LEGO challenge. Tracey Emin RA’s ‘My Bed’ (1998), one of the seminal works of the Young British Artist generation, goes up for sale at Christie’s on Tuesday 1 July. As the RA prepares for ‘Dennis Hopper: The Lost Album’, Honorary Royal Academician Ed Ruscha reflects on his friendship with the legendary actor, director and photographer in 1960s Los Angeles and beyond. The artist discusses her exhibition in the RA’s Gallery Café. Fiona Maddocks meets sculptor and former RA President Phillip King in his studio in a converted north London factory. Two Academicians take the rare step of showing alongside their partners this summer, reports Richard Cork. Art now is more popular than it ever has been. We are in an era where art is at the centre of a public conversation about who we are, and where we want to go. The RA is curating a major exhibition in Istanbul of prints and paintings by Stephen Chambers, including his giant screen print shown at the RA in 2012, writes Emma Hill. Continuing our series on artists’ epiphanies, Sam Phillips visits the Welsh beach that transformed Setch’s art. Ken Howard RA’s range of interior paints created specially for the Royal Academy is inspired by his beloved Venice, a city where he has had a studio for the past 10 years. The artist’s new paint range for the RA draws inspiration from his life and work. A new artwork by Grayson Perry RA presents a special manifesto for the Royal Academy. We are delighted to be working with the BBC on a very special competition this summer. From traditional engravings to cutting edge digital techniques: the RA Schools is a hive of creative approaches to printmaking. A group of sculptures by Lynn Chadwick RA (1914 - 2003) is being installed in the Royal Academy’s Annenberg Courtyard, as part of celebrations to make the centenary of his birth. President of the Royal Academy Christopher Le Brun remembers the artist who died on 5 April aged 93. Phyllida Barlow RA has unleashed seven playful giants into Tate Britain’s Duveen Galleries. Georg Baselitz first encountered chiaroscuro woodcuts on a trip to Italy as a young artist. He went on to become an avid collector of these revolutionary prints, many of which are now on display in our exhibition ‘Renaissance Impressions’. Your chance to own work by an Academician and help us to continue to meet the cost of tuition fees for all students at the RA Schools. Welcome to Print Month. This April we’re celebrating the versatile art of printmaking, with a packed programme of exhibitions, events and online activity. Inspired by our ‘Renaissance Impressions’ exhibition, Stephen Chambers RA decided to create his own chiaroscuro woodcut. Here he shares his discoveries and includes his step-by-step guide. Read an extract from RA Publications’ new book on the chapel that Henri Matisse considered his greatest work. We visit the converted stable where the nonagenarian artist Alan Davie RA creates his jewel-like paintings. In the first of a new series on artists’ epiphanies, Tess Jaray RA reveals three turning points in her understanding of art. War, terror and human conflict pervade the art of new RA sculptor Tim Shaw, whose first major solo show opens in Birmingham. Michael Craig-Martin RA is installing the commonplace in a far from everyday setting, writes Richard Cork. Academician Anthony Caro was the most influential British sculptor of the post-war era, famously taking sculpture off the plinth. Norman Foster RA pays a personal tribute to the man who collaborated with him on several projects. The Royal Academy’s ‘Sensation’ exhibition in 1997 made a major splash in the art world, introducing a wider public to the YBA (Young British Artist) generation of Tracey Emin, Damien Hirst and their contemporaries. More than any other architects, Álvaro Siza and Eduardo Souto de Moura have made me look with a fresh eye at the Royal Academy’s galleries and architecture. It may seem a strange term for an architect to coin, but Japanese architect Kengo Kuma has been developing an idea of what he calls “weak architecture”. When putting together this group of architects I purposefully sought out those who would bring a variety of perspectives on how we think about architecture and the spaces around us. Architect Timothy Hill discusses his current projects and reflects on the conditions of architecture in Australia. It was when sitting with Li Xiaodong in a courtyard garden in the Huairou district, a mountainous area near the Great Wall, an hour north of Beijing, that many of his observations of Chinese culture and sensibilities became much clearer for me. Internationally acclaimed Australian contemporary artist Shaun Gladwell discusses his video ‘performance landscapes’. We visited Phyllida Barlow RA in her busy studio as she prepared for an installation at Tate Britain. Spending some time with the Chilean architects who ‘consider’ rather than ‘design’. As Bill Woodrow RA prepares for his major retrospective at the Academy, Richard Cork talks to him about the extraordinary range of his sculpture and how one recurring theme has grown into a love of beekeeping. The RA’s Australia show has three rooms dedicated to Aboriginal art. Wally Caruna celebrates this rich vein of indigenous culture by exploring a key work in the show that evokes the ancestral origins of the great bush fire. Norman Ackroyd RA has been working from a former leather factory in Bermondsey for 30 years, where he has a printing press and an etching press. Sam Phillips meets Sean Scully RA in his Barcelona studio. The RA speaks about how his love of large numbers influences his sculptures over a steak at Hawksmoor. Meet the sculptor who chooses materials for their rawness and authenticity to create her haunting art. The Academician talks about the mix of violence and poetry in her work, as her often explosive art takes her across the globe. Lynette Yiadom-Boakye completed her post-graduate course at the RA. A decade on, she is nominated for one of the art world’s most prestigious awards. The architect and Academician talks over lunch about searching for “the beautiful idea” when he designs a building. Fiona Maddocks meets painter and Academician Joe Tilson at his studio in a workers’ cottage in Chelsea. Over a sushi lunch, the sculptor and Academician talks about “getting away with” art that challenges our preconceptions of the world around us. The architect and Academician fills his London studio with a sense of fun, as Fiona Maddocks discovers. Redefining the best of British cuisine with the Academician, who herself is as a conjuror in the world of colour. Printmaker and Academician Anne Desmet discusses juggling work and family life in a studio at her east London house. As artist in residence at Maggie’s Cancer Caring Centre, the Academician is a healing presence. The Academician talks with us from her current studio in Oxford. We speak to the painter in her minimalist studio in London’s East End, which is filled with an unexpected riot of colour. The Academician’s Clerkenwell studio is cool, white and ordered - but in it Hume is a warm, unpretentious presence. Over a seafood lunch, Sarah Greenberg admires the Academician’s steely resolve. The Academician has built his studio in a converted granary, in the Shropshire landscape made famous by A.E Housman. Evidence of Albert Irvin’s thirst for adventure on canvas can be seen in the east London studio he has occupied for over 30 years. The architect and Academician enthuses over a dish called Heaven and Earth, and tells us why fun is important in architecture. Over an Italian lunch, the architect and Academician discusses the influence of art and history on his designs. The quiet minimalist aesthetic of the Academician’s London studio has survived an extraordinary intrusion, he tells us. Get the vital statistics on the Academician’s studio, his work, and his relationship to the planet. A classic French bistro delights the Academician, who tells us why the future of the RA belongs to its Friends. Over a seafood lunch the Academician discusses why the world is her oyster when it comes to making her art. When Maurice Cockrill RA is not nurturing his charges at the RA Schools, he can be found hidden away in his splendid attic studio at the Academy. Jennifer Durrant RA’s studio is part of a big adventure she embarked on in 2000, when she left London to migrate south. Visiting with the sculptor in his new London studio, Fiona Maddocks finds him as full of sound and fury as his monumental work.